For me, Sundays are all about relaxation. I like to get myself sorted for the week ahead – any work I have to do gets done, I spend a couple of hours at the gym, working out and enjoying the steam rooms and sauna, and when I get home I treat myself to the most luxurious of bubble baths, face packs and hair masks.It’s a nice way to end my week and prepare for the new one, and one of my newest additions to my relaxation ritual is Yogandha’s beautiful Relax Body Oil. 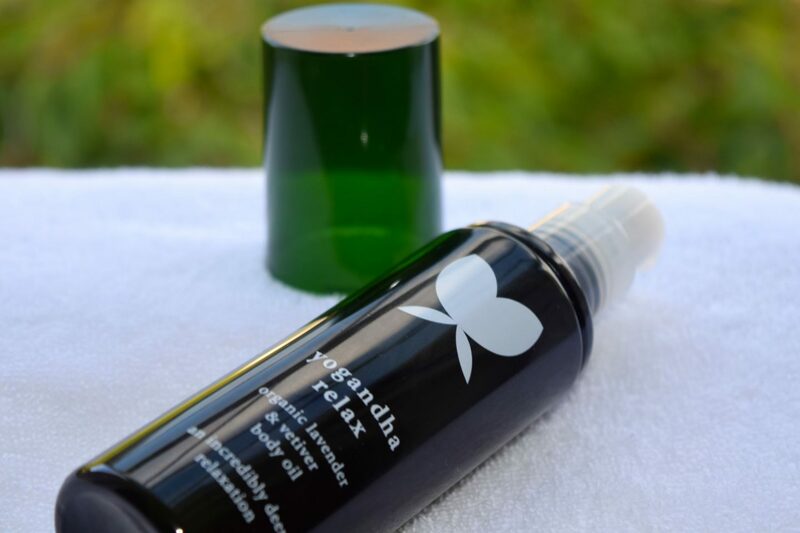 When I was at Harvey Nichols’ incredible yoga class (you can read about it here) I was lucky enough to meet with the founder of Yoganha Oils – the fabulous Sinead Duffy. 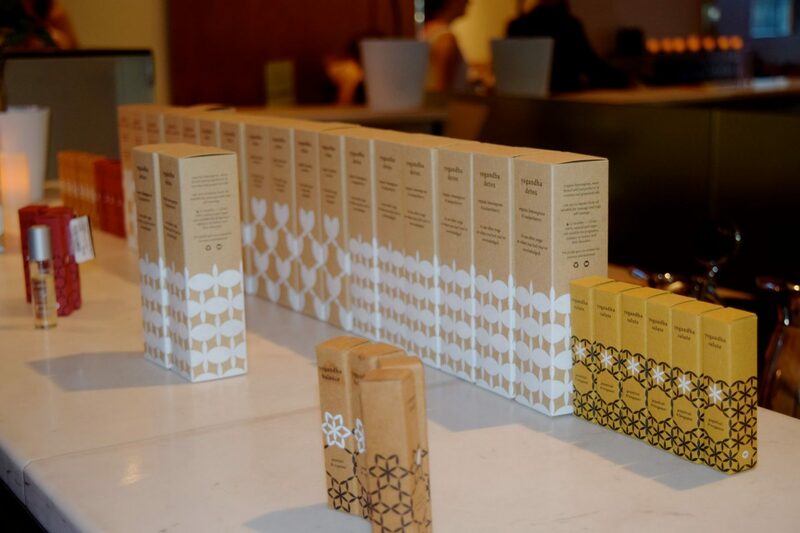 Getting to chat to her about her love and passion for the brand was seriously inspiring – her enthusiasm was infectious, and I just loved the way she encouraged everyone to really tune into their bodies, and see what fragrance blend most appealed. 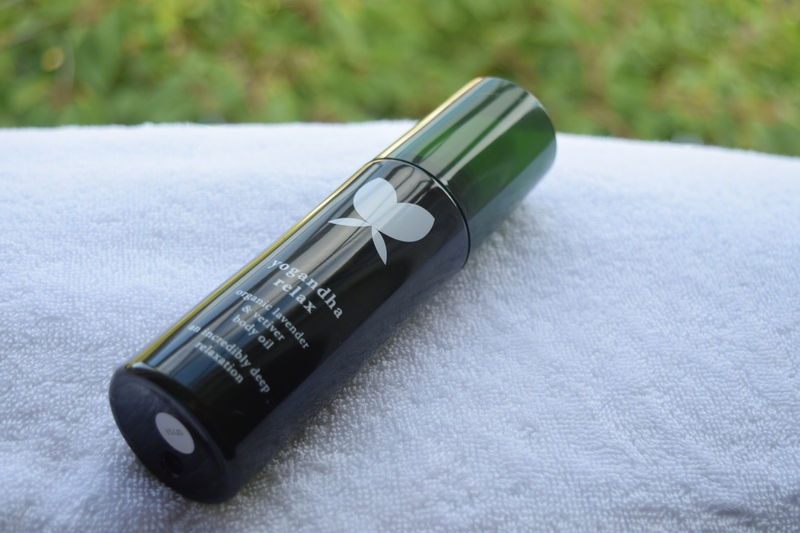 For me, it was the Relax Oil, a blend of lavender and vetiver oils which are just heavenly. Talking to Sinead was incredibly interesting, and the amount of effort she has put into Yogandha is truly admirable. Absolutely every element of the product has been carefully thought out – even the cardboard box the oils come in is an origami-esque work of art, designed by her neighbour, it’s glue free so it’s compostable too. The Relax Body Oil really is just a delight to use. I tend to reach for it after my evening shower, as it feels so nourishing on the skin, and the mix of lavender and vetiver is just incredibly calming. To reap as much benefit from the scent as possible, I concentrate on applying it to my arms and chest, and it just sinks into skin, leaving skin moisturised and smelling divine. When I was talking to Sinead, she told me all about how her oils are all natural, so the beneficial properties of the oils are absorbed into the skin, so it does your body real good! For me, my bed is absolute heaven. I’m kind of obsessed with bedding (my choice is white Frette for the most luxurious sleep of your life!) and I could quite happily spend a weekend snuggled under the covers. Despite my enthusiasm for my bedroom however, whenever I’m busy or stressed I can find it hard to get to sleep, then I tend to wake up during the night. 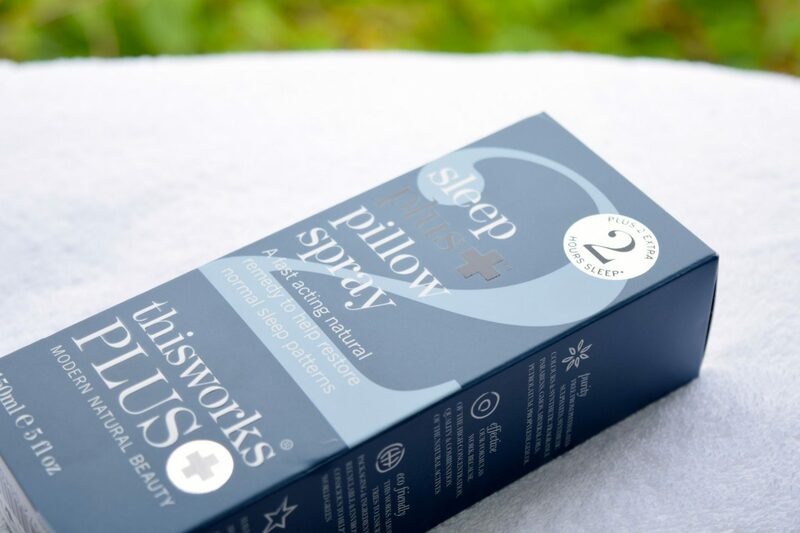 It’s not ideal, especially when I tend to have busy mornings, so I’ve been relying on This Works’ Deep Sleep range for the past couple of years to help me get a great nights’ sleep completely naturally. So, when I found out that This Works had released a Sleep Plus+ range, I couldn’t wait to try it out! 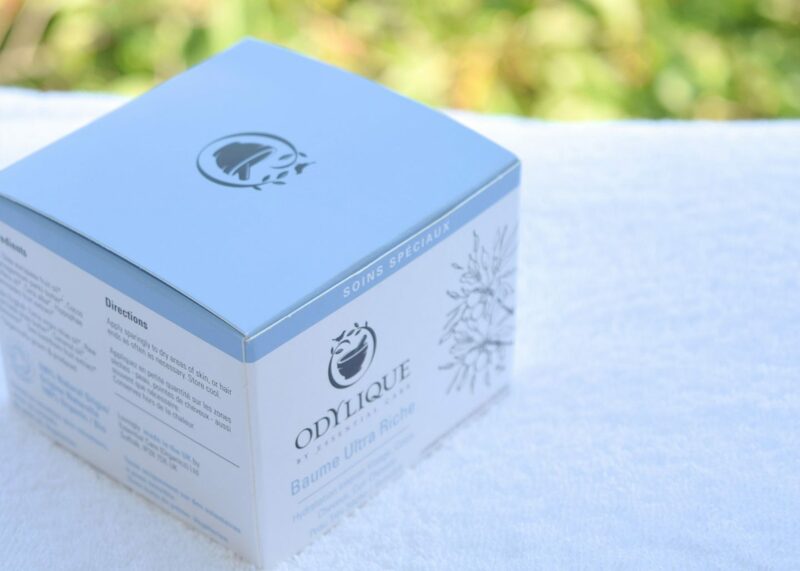 Rather than the original Deep Sleep range, which aims to help you drift off quickly, Sleep Plus+ promises an extra two hours of sleep, and who would say no to that?! 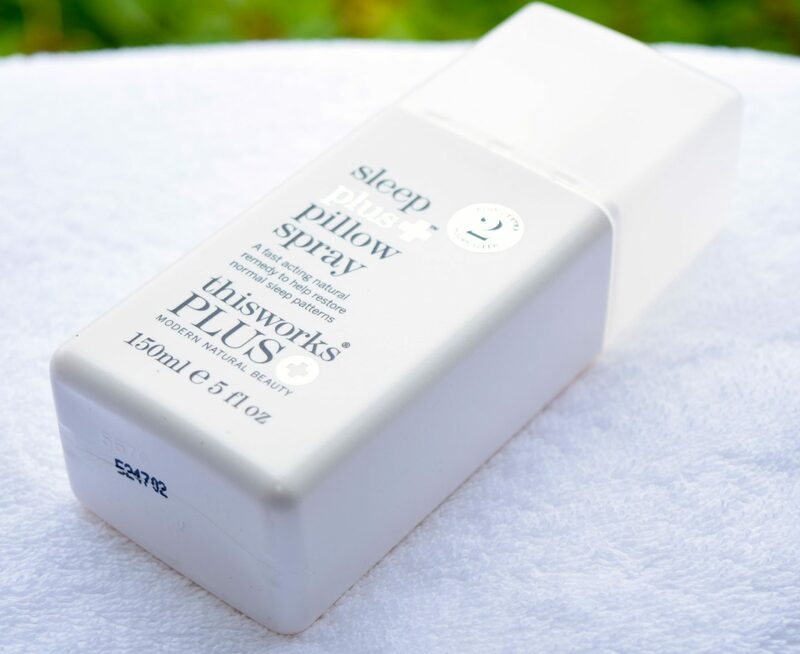 I was very kindly sent the large bottle of the pillow spray, and I’m so glad, because I’ve become completely addicted to the stuff! To use, all you have to do is lightly mist your pillowcases and then snuggle in for the night. I just love the scent of the pillow spray – it’s a woody, lavender mix which just smells so luxurious. Since I change my sheets nightly, I just spray a little every night before I get into bed, pop on some chilled out music and relax. I cannot tell you how quickly I fall asleep when I’m using the Sleep Plus+ spray. Normally it takes me anywhere from an hour or two to drop off, but with This Works’ help, I’m out for the count in 10-15 minutes. But what makes the new spray even more special is the way it keeps you asleep – lavender is naturally encapsulated within the formula, so that the scent is gradually released throughout the night, keeping you in a naturally deep sleep. When I wake up in the morning I feel like I’ve spent the night in a swish hotel as I just get such a great sleep thanks to the spray! 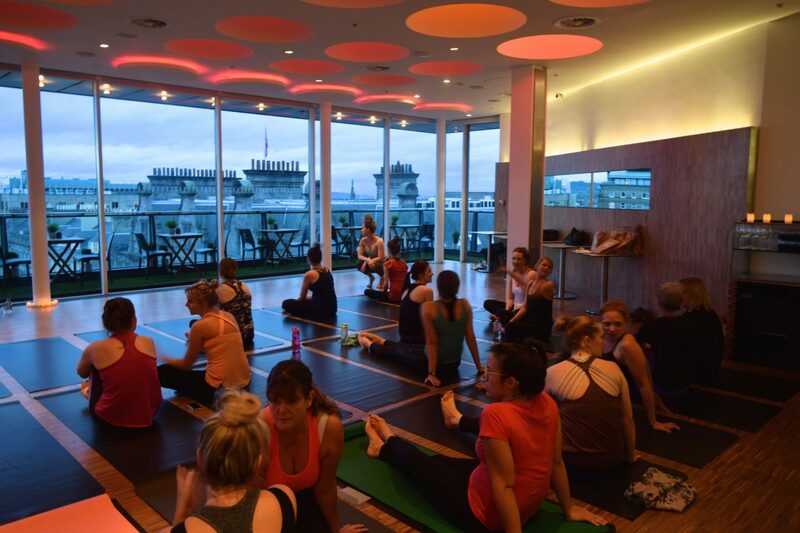 I don’t think Mondays are anyone’s favourite day of the week, but last night Harvey Nichols Edinburgh made it my favourite day of the week with a special Sunset Yoga lesson which was hosted by Lululemon and Yogandha Oils. 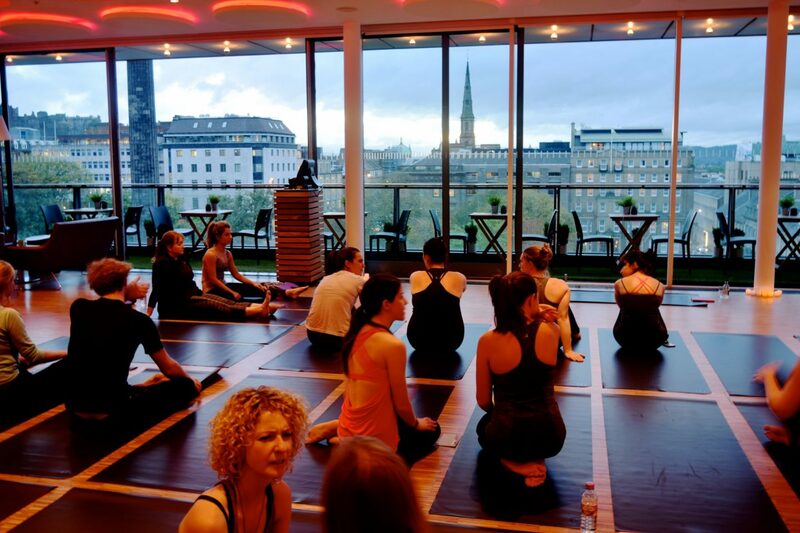 I’m by no means a yogi, but it’s something that I’ve been wanting to try out, so the opportunity to give it a go in undoubtedly the most glamorous ‘studio’ in Edinburgh was too good to resist! 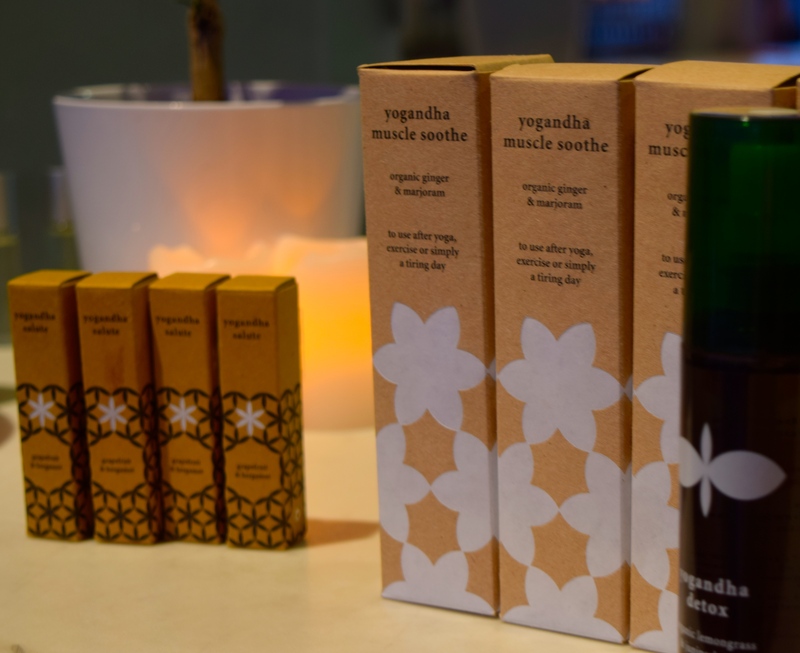 Not only was the evening a chance to enjoy a relaxing session led by Lululemon’s Demelza, but also to meet Sinead the wonderful founder of Yogandha Oils as well as getting to play with some of her incredible products. 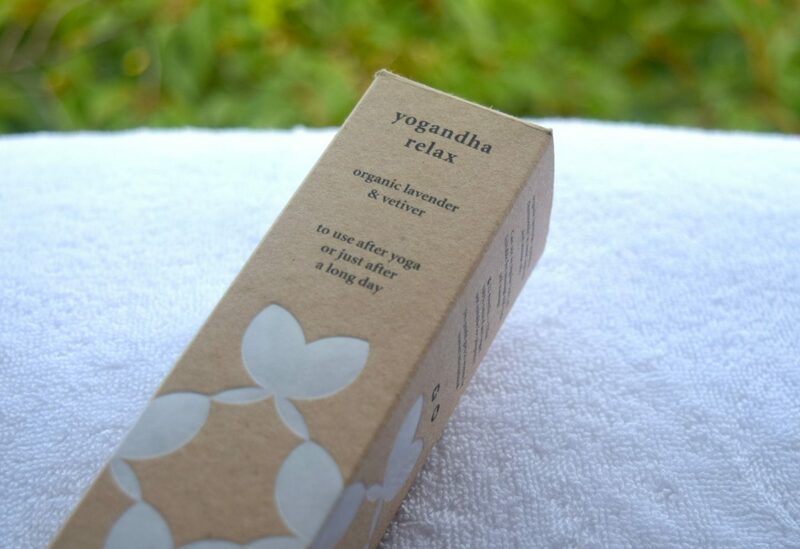 After swatching a number of Yogandha’s gorgeous oils, we got started with the yoga class. 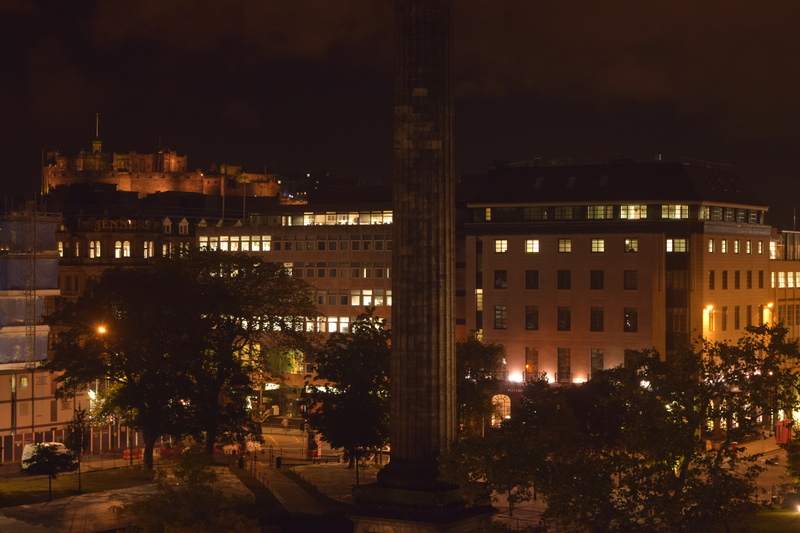 To make room for everyone, Harvey Nichols had shut down the entire restaurant and brasserie, meaning that instead of looking into regular studio mirrors, we got to look at the sun set over Edinburgh. Stunning doesn’t even begin to describe it! As we transitioned between downward facing dogs and warrior poses, the sky became dark, and Edinburgh Castle lit up. 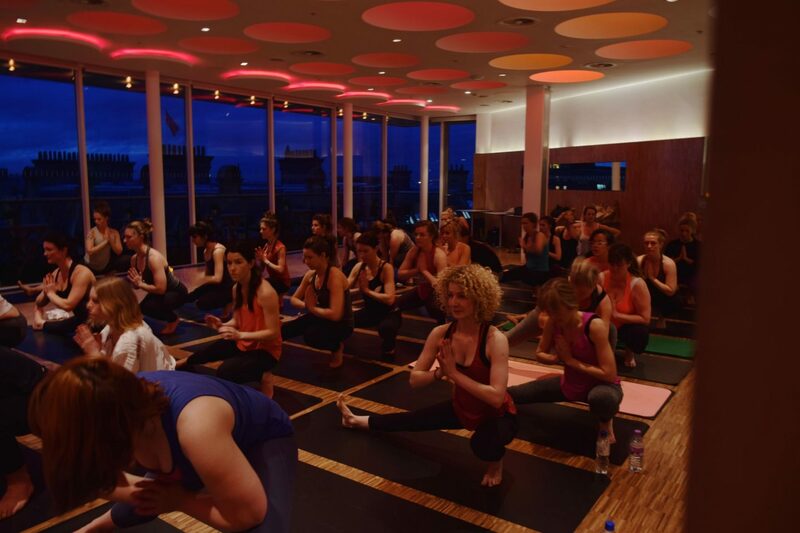 It was a completely magical backdrop to Demelza’s wonderful class which she had designed to promote relaxation and wellness. Taking an hour to really stretch out, relax and concentrate on something as simple as breathing was really wonderful. I definitely felt the benefits, and the fact that we got to keep our amazing Lululemon mats was so incredibly kind! I’ve already laid mine out in the study and loaded up some youtube videos so I can practice at home. 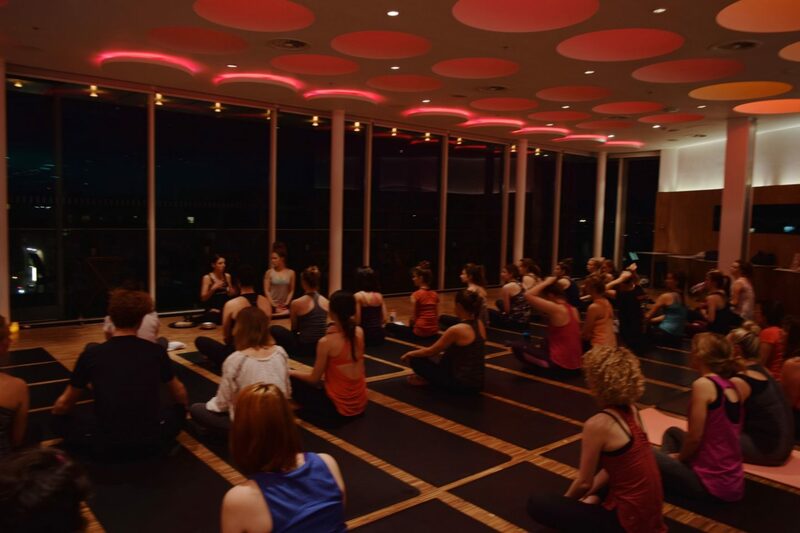 After the yoga session, we got the chance to listen to Sinead Duffy, who isn’t just the mastermind behind Yogandha, but has also taught yoga for 10 years. Listening to her describe how to use aromatherapy to benefit both body and mind was truly inspiring, and her enthusiasm was completely infectious! As everyone passed round the oil rollerballs, we got to try all three blends – Grounded, Uplifted and Balanced as well as the beautiful Body Oils. Very kindly, Sinead gave me a bottle of the Relax Body Oil, so I can’t wait to give it a really good go, and of course, I’ll post a review of it so you can see it for yourself! Once we had finished sampling the oils, there was a selection of fruit teas and fresh juices to help us rehydrate – and pro tip – if you’re visiting the Forth Floor, check out the Pret a Porter mocktail, it’s delicious! The whole evening was such a great experience, and it really felt like it was something really special! Everyone I chatted to absolutely loved it, and I think a lot of people are hoping it becomes a regular calendar fixture! 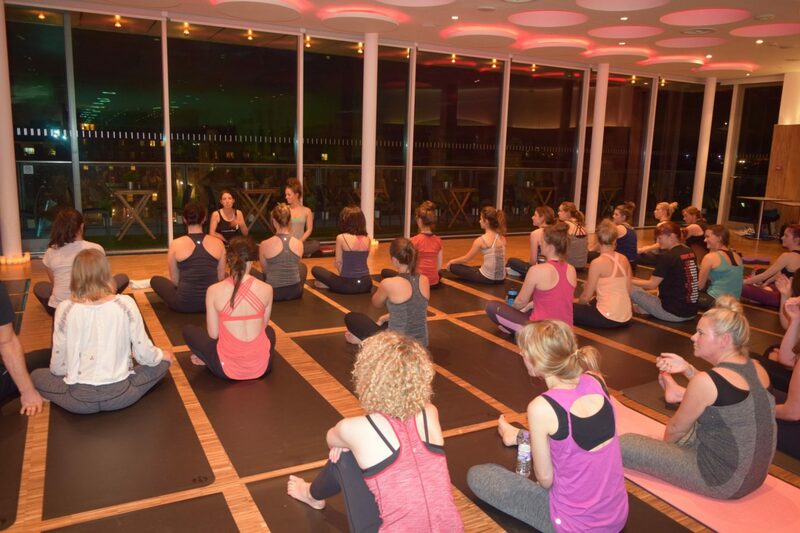 Thank you so much to Harvey Nichols Edinburgh, Lululemon and Yogandha Oils for last night. I had such a wonderful time, and I can’t wait to try out my new mat and oil! We might be slap bang in the middle of Sweater Weather, but I’m determined not to let my skin get forgotten about under layers of cashmere or merino, no mater how chilly the weather gets. 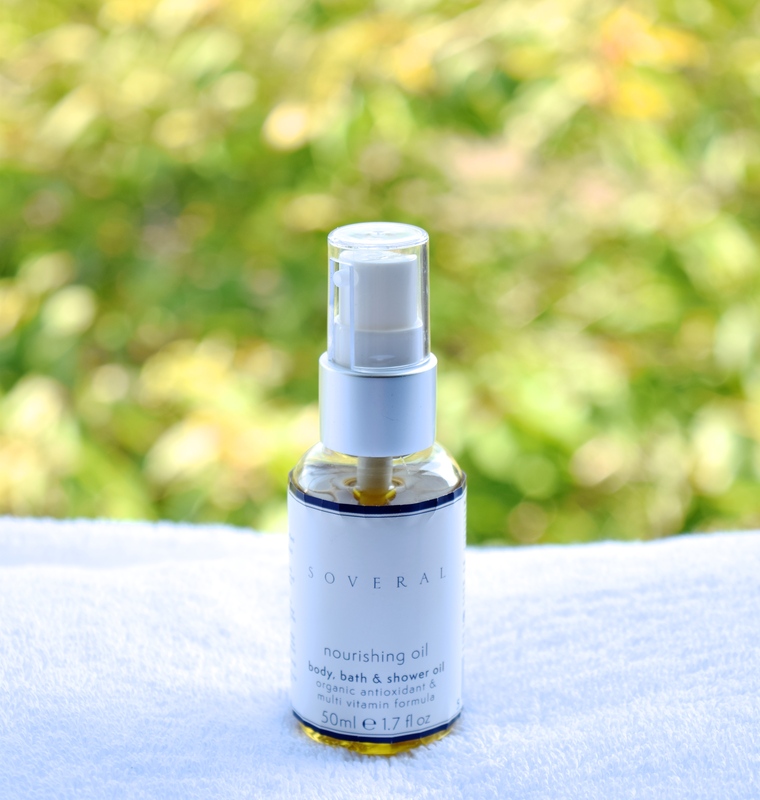 One of the most spa-like ways I’ve been babying my skin, is with Soveral’s gorgeous new Nourishing Oil. Packaged in a super chic, dinky little pump-top bottle, the Nourishing Oil doesn’t only loos good, but it’s an absolute dream to apply! I only need a pump per arm, and I’m obsessed with the scent. The formulation of the oil feels like it works magic – Pumpkin Seed and Castor Oil are ultra nourishing whilst the aromatherapy properties of Roman Chamomile and French Lavender feel incredibly calming and restorative. I’ve been using the Nourishing Oil every evening, and it’s such a lovely treat to use – and I’m sure that the scent has been helping get to sleep every night. It feels like a little spa visit every evening, and my skin has never felt better! 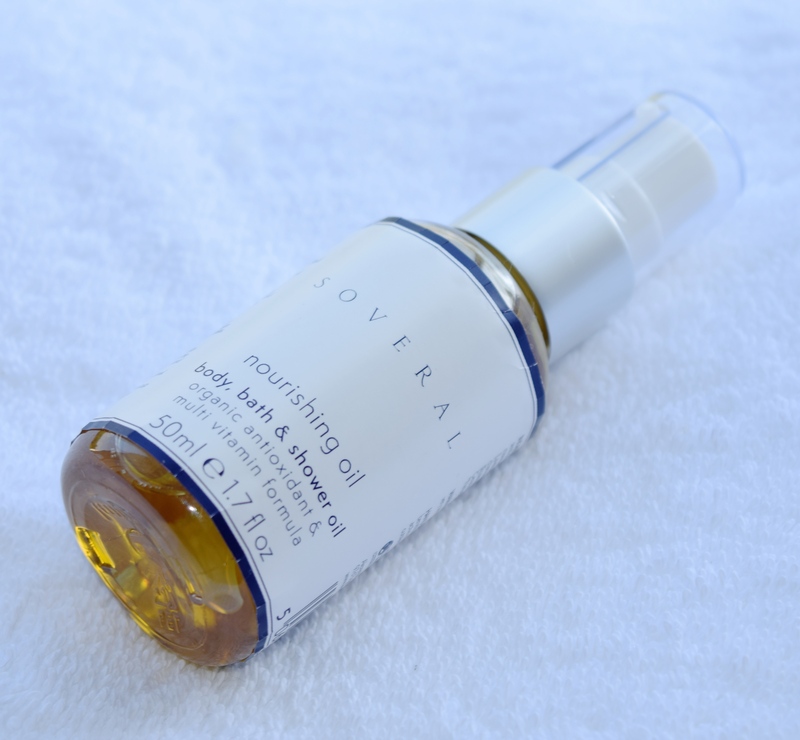 Soveral Nourishing Oil is priced at £40.00 and is available here. I’ve mentioned before that my skin can err on the dry side, and since we’re moving into chillier temperatures, I’m being super vigilant about keeping everything as soft and hydrated as possible. 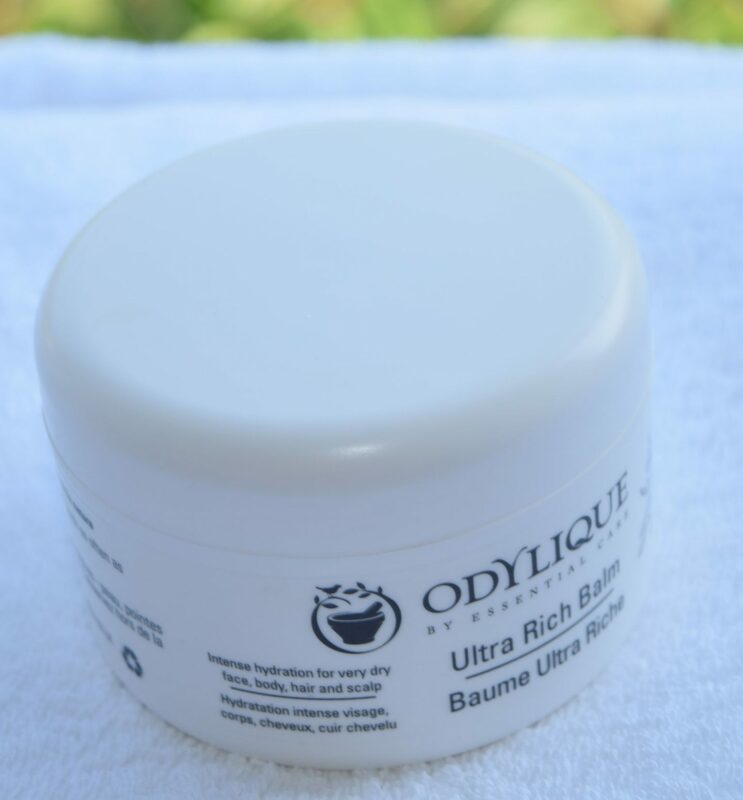 Thankfully, my new find – Odylique’s Balm Ultra Riche is the answer to literally every dry skin problem you can think of! Packaged in a super simple white, screw top jar, the Balm Ultra Riche promises to provide intense hydration for very dry skin and skin which is prone to eczema. Since mine tends to fall into the former category I was more than a little intrigued! 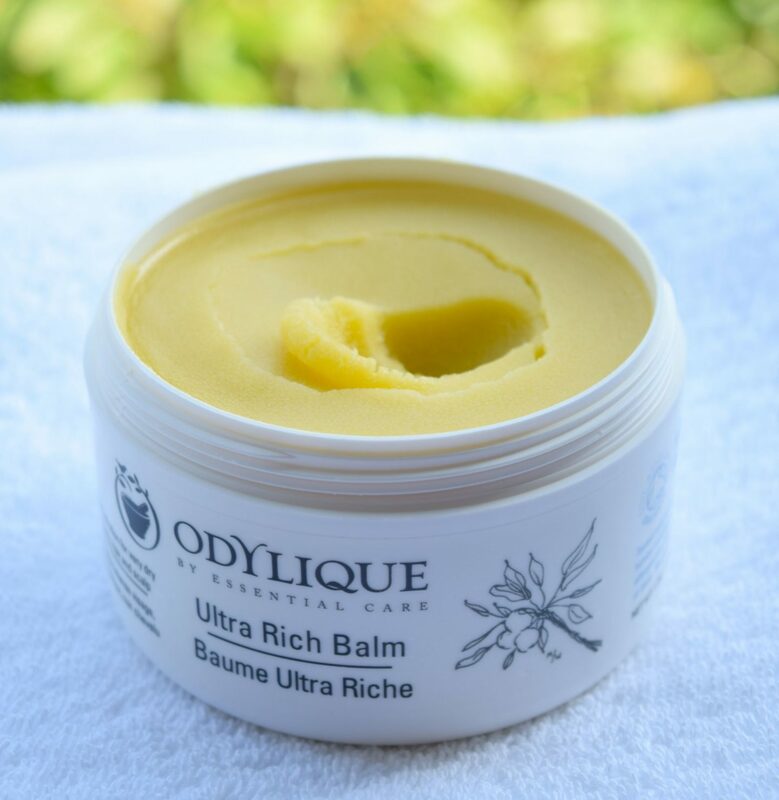 When I first caught sight of the balm, I thought it was going to be one of those ones hard, waxy ones that you have to heat up in your hands before applying, but I was completely wrong! Instead, the Balm Ultra Riche is super soft, and just melts into your fingertips. Thanks to the soft texture of the balm, I’ve been using it absolutely everywhere! 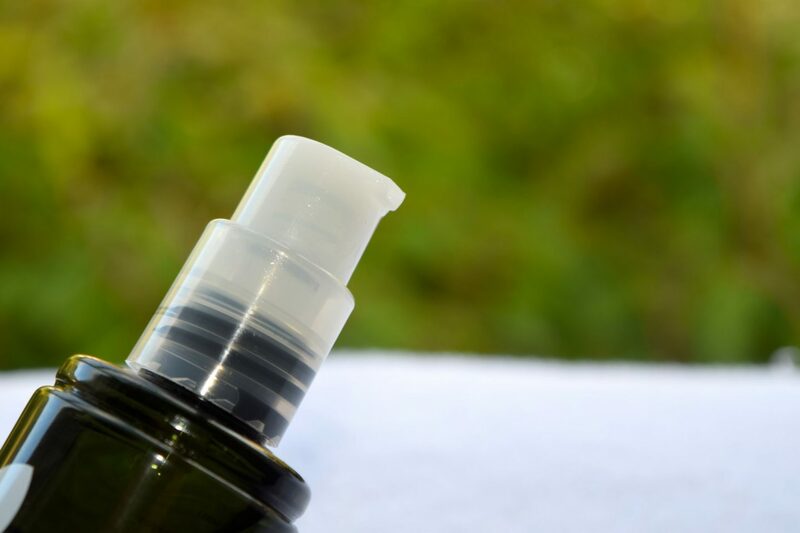 The formula is packed full of raw shea, coconut and extra virgin olive oils to provide maximum hydration, along with sea buckthorn and beeswax to hydrate and nourish skin. 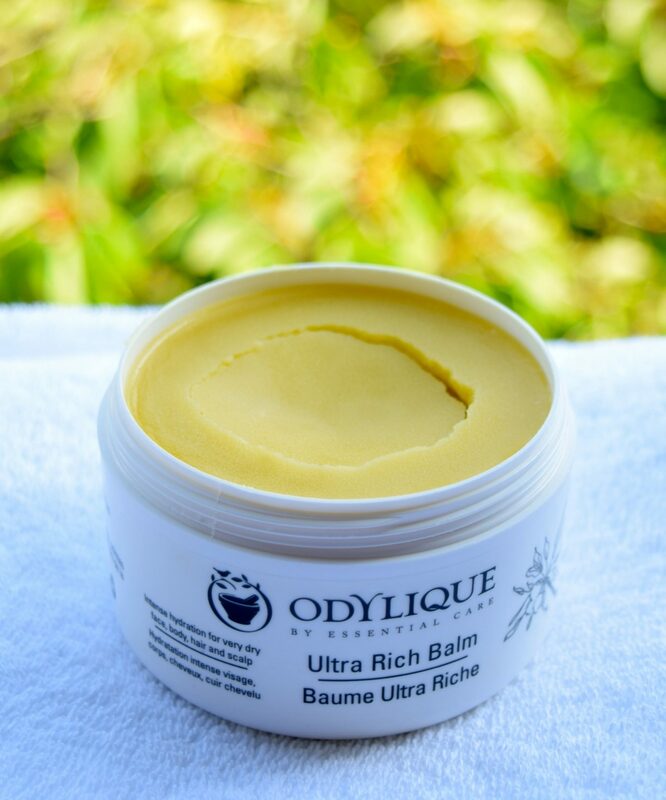 I tend to reach for the Balm Ultra Riche at night since the formula is quite thick, and I use it on everything – my feet and ankles, knees, hands, elbows, and even pop a little of it onto any dry skin on my face. Since the formula is all natural and organic, I don’t need to worry about my skin reacting to it, instead I just get to wake up feeling silky soft!